" I am so blessed by God in this business and every facet of my life. I want to share His love, compassion and gifts I have received to those around me." Julie is a graduate of the Natural Health Institute in Nashville, Tennessee. 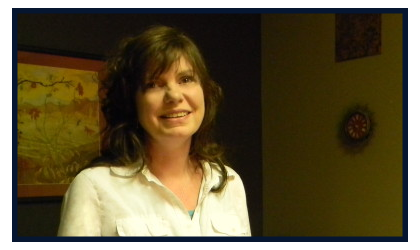 She is licensed and certified in Tennessee, and a member of AMBP (Associated Bodywork and Massage Professionals). Julie entered the massage world as another way to care for those around her. She believes massage is very healing for the mind, body, and soul, and strives to bring a healthy, therapeutic touch to the community. As a compassionate person, her main goal is to reduce pain, stress, and greatly lower the need for medicine. She believes in a holistic approach and strives to learn all she can to help those she meets. Julie is an individual who cherishes life and the lives around her, and she wants to share healing through massage therapy with the community.